When a divorce involves military members, a combination of both state and federal laws apply, which can complicate matters. However, state courts, not military courts, actually grant the divorce. Military members and their spouses can divorce under Washington’s laws like other Washington couples, but some aspects of the divorce are slightly different due to a spouse’s military status. Washington courts cannot grant a divorce unless at least one of the spouses is a resident of Washington, or a member of the military who is stationed in Washington. Unlike many other states, Washington’s laws do not dictate a minimum length of time the spouses must reside in Washington before divorcing. A party can file for a divorce in any Washington county where either spouse resides or is stationed. One Washington county, Lincoln County, permits any Washington resident or military member to divorce there regardless of whether either spouse lives in the county. Washington is a pure no-fault divorce state, meaning there is only one ground, or legal reason, for divorce: irretrievable breakdown of the marriage. When a spouse files for divorce in Washington, he must use this ground in his divorce petition. To begin the divorce process, a party must file at least four forms with the court: Petition for Dissolution of Marriage, Summons, Confidential Information Form and Vital Statistics Form. Once one party files the forms to begin the divorce, she must serve copies on the other party to give him a chance to respond. If that other party is in the military, the Servicemembers Civil Relief Act contains a provision allowing him to stay, or postpone, the divorce while he is overseas or otherwise unable to adequately respond because of his military service. If a divorcing couple cannot agree on the division of property, Washington courts will divide it for them based on community property standards. The courts assume all property acquired during the marriage, including real estate, income and personal property, is owned equally by each spouse. Federal law allows state courts to divide military pensions in a divorce, treating retirement pay like any other marital asset. However, military disability pay, including compensation from the U.S. Department of Veterans Affairs, is not divisible by the court. Washington courts set child support amounts as determined by the Washington State Support Schedule, which provides a formula that considers the combined income of both parents. Although the court can deviate from the standard calculation when certain circumstances exist, such as when one party is receiving income from additional sources, federal law limits the garnishment of a military member’s salary to 60 percent for a single soldier and 50 percent if the soldier remarries and has a new family to support. McKinley Irvin: How Do I Get a Divorce in Washington State? When a Washington marriage doesn’t work out, the couple can receive a divorce, or dissolution, from a Washington court. Couples can file for divorce together or separately, and Washington courts can grant the divorce whether or not both spouses agree on all terms. However, the divorce process is typically shorter if the spouses agree on the major terms of their divorce and file together. 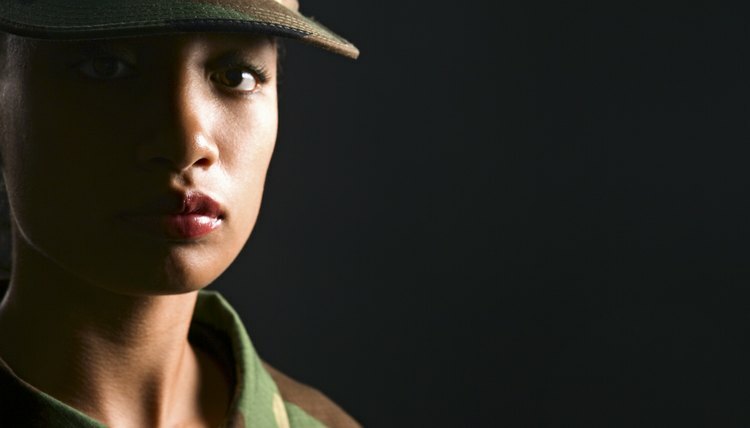 Military divorces are a unique legal area with several federal considerations. When it comes to retirement benefits, however, Uncle Sam takes a step back and allows individual states to rule on dividing them in a divorce. The federal government is still involved, but it defers some decisions to state courts. Military service members encounter similar marital difficulties as civilians, but when it comes to separation or divorce, the rules for a military member are slightly different. A service member has special protections under federal law, and a military couple may be concerned with maintaining a civilian spouse’s benefits when the military spouse returns from overseas.